Enjoy this Caribbean voyage and spend your winter surrounded by golden sands, sapphire waters and the carefree joy of the Caribbean. 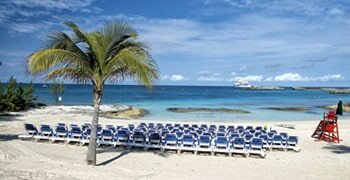 This cruise is hosted by Select Holidays' Lawrence & Loretta Layden. 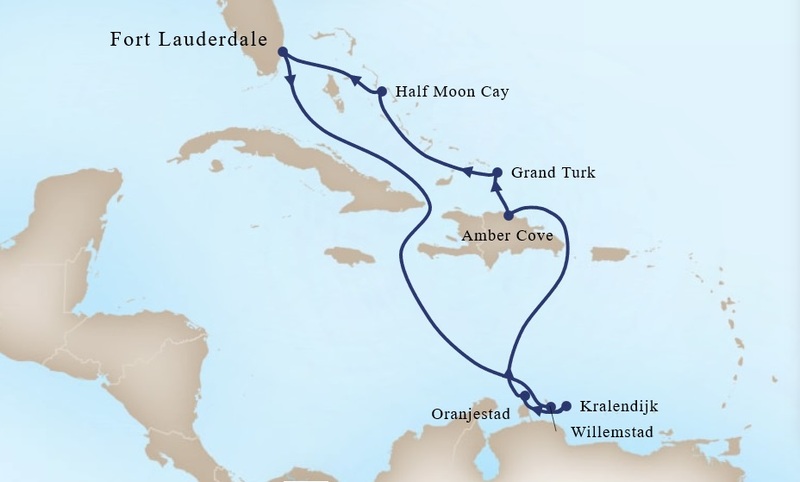 Arrive Fort Lauderdale, Florida, and board Holland America's "Koningsdam". What a perfect day to get acquainted with your floating resort. With attention to details and refined elegance, Holland America strives to give you an experience like no other. With cuisine to dazzle and delight your senses; an enchanting array of entertainment; music for every mood; a wide selection of lounges and gathering places as well as a place where you can revitalize and rejuvenate. Relax and enjoy it all! A day at sea to familiarize yourself to the "Konningsdam". Another day at sea to enjoy the sunshine or look out at the beautiful sea. Enjoy a Select Holidays included shore excursion here today! Almost as soon as you pull into the port of Kralendijk, you’ll realize it’s one of the most laid-back landings around. Though there are some colorful streets to stroll nearby—remnants (mostly) of Bonaire’s Dutch-colonial era—even the busiest lack the bustle of other Caribbean capitals. Which is a good thing. The comparative sleepiness helps maintain the island’s chief attributes: legendarily pristine wilderness, both above and below the surface; mangroves full of baby fish; and salt flats full of flamingos. And reefs full of . . . everything. Nature’s cup overfloweth here. And, by the way, so will yours (have the cactus liqueur even if you try no other local beverage). There’s also an embarrassment of cultural riches, thanks to the layers of Amerindian, Spanish, African, Dutch and British influences on the island. In fact, you’ll hear traces of the languages of all of the above (plus some French and Portuguese) during any given conversation in Papiamento, the creole language spoken throughout the Netherlands Antilles. You'll find you can get by just fine with a few key phrases: por fabor, danki and bon dia—all of which mean exactly what you think they do. Day at sea to catch up on your photos and videos of what you have just seen and experienced. Sugar-white sand, brilliant blue waters, kaleidoscopic sea life—all this is plentiful in the Caribbean archipelago nation of Turks & Caicos. Without hyperbole, this is one of the world’s most photogenic spots. T&C, as it is sometimes called, is the ultimate fantasy-island destination—the screen saver in all its glorious reality. Grand Turk, a jewel of an isle that measures just 18 square kilometers (seven square miles), is awesomely rich in natural wonders. Ringed by translucent warm waters teeming with coral and fish, it’s a bonanza for divers, snorkelers and anglers. Of course, you can always simply kick back and just enjoy the view from under a palm tree or beach umbrella. Or explore the fascinating history of Turks & Caicos in its capital, Cockburn Town, which is lined with Bermudan-style buildings from the 18th and 19th centuries.